The dramatic rise in India's oil demand shows no signs of faltering, leading analysts say that the country will remain a driver of Asian growth in 2017. Consumption is expected to rise by 7-8% this year, outpacing China's demand growth for the third consecutive year, said Platts Analytics in a note issued from Singapore. The cash crunch following New Delhi's move in early November to demonetize more than 80% of its currency is expected to temporarily dampen the country's appetite for oil products in the first quarter, or maybe a little longer, it said. But gains in oil demand that the country is set to achieve from the "Make in India" initiative -- which aims to raise the share of manufacturing in GDP over the next few years -- will more than offset the negative effects of demonetisation, analysts said. The government's clean fuel drive, sharp anticipated growth in transport demand and air travel, and the country's insatiable growth for petrochemicals will act as a boon for gasoline, jet fuel, LPG and naphtha, helping oil products to post close to double-digit growth in 2017 -- similar to that seen last year -- if not higher. 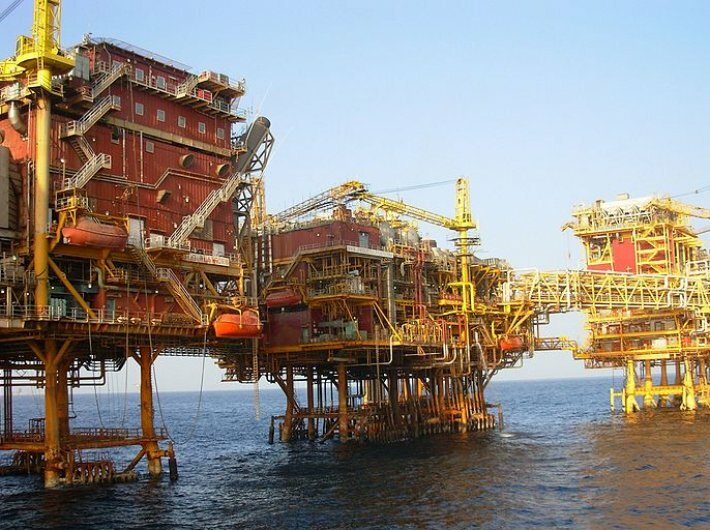 "For the third year in a row, India's oil demand growth will outpace China's demand growth," Platts Analytics said in a note, adding that it was expected to grow at about 7% to 4.13 million b/d in 2017, compared with 3% in Chinese oil demand to 11.5 million b/d (barrels per day). India's demand for oil products in November rose 12% year on year to 16.6 million mt, or 4.35 million b/d, data from the Petroleum Planning and Analysis Cell showed. Over January-November, oil products demand rose around 9% year on year to 176.36 million mt, or 4.1 million b/d. While growth fundamentals for oil in India remain high, slower growth in the initial months of 2017 because of demonetization might pull down the overall oil demand growth in 2017 to a shade below 2016 levels, according to analysts. "If successful, the effects of demonetisation are expected to be temporary, and indexes are expected to bounce back," said Amrita Sen, chief oil analyst at Energy Aspects. "We believe that H2 2017 oil demand will see limited impact from demonetization as the initial economic impact peters out and government spending, particularly on infrastructure, rises from increased tax collection. Indeed, if implemented correctly, demonetisation will lead to a jump in private investment and more public spending on welfare measures," she added. The note said that the BJP-led government, since coming to power in 2014, has undertaken a series of initiatives to help boost LPG penetration across the country. It has aggressively pushed to expand the LPG dealership network in the country, while it has urged the more affluent class to give up LPG subsidies and pass those savings to the economically poorer sections of society. "We are seeing a series of government initiatives to enhance LPG penetration in the rural areas. This should help to sustain growth rates for the clean fuel at double-digit levels for several months in 2017," said Sri Paravaikkarasu, head of oil, East of Suez, at Facts Global Energy. She said LPG demand was expected to grow by about 10.5% year on year in 2017, compared with an estimated 11% in 2016. And as the government discourages the use of kerosene in households, its demand is estimated to fall by close to 11% from 2016 levels, according to Facts Global Energy. The BJP-led government last year gave the go-ahead to state-owned companies to raise the prices of kerosene, which accounts for more than 40% of the total petroleum subsidies, by a small amount every month until April. The note went on to say that since India deregulated diesel prices in October 2014, gasoline demand continues to grow sharply and analysts expect demand to show double-digit growth again in 2017. "Despite demonetisation hitting motorcycle sales in the near term, growth should rebound in the second half of 2017. Passenger vehicle sales, which are mainly backed by direct loans, should continue to grow. This should support buoyant gasoline sales after the ripples of demonetisation get absorbed in about three to four months," Paravaikkarasu added. Analysts expect gasoil demand to grow by about 4.5-5% in 2017, slightly lower than 2016 levels, as demonetisation had affected rural incomes.